Except there’s a last minute change of plan, Governor Rochas Okorocha of Imo State will soon be on his way to the United Kingdom for medical care, sources within the state corridors of power have confided in SecretReporters. According to our insiders, the iberiberism crooner recently began to lose weight and loss of appetite when it became clear to him that his son in-law and anointed candidate for the State number one job, Mr Uche Nwosu will never get the All Progressive Congress (APC) ticket, which the national chairman, Adams Oshiomhole allegedly sold to Mr Hope Uzodinma, a serving Senator. The unbelievable circumstances we gathered led to instant sickness which resulted in partial stroke to the governor. 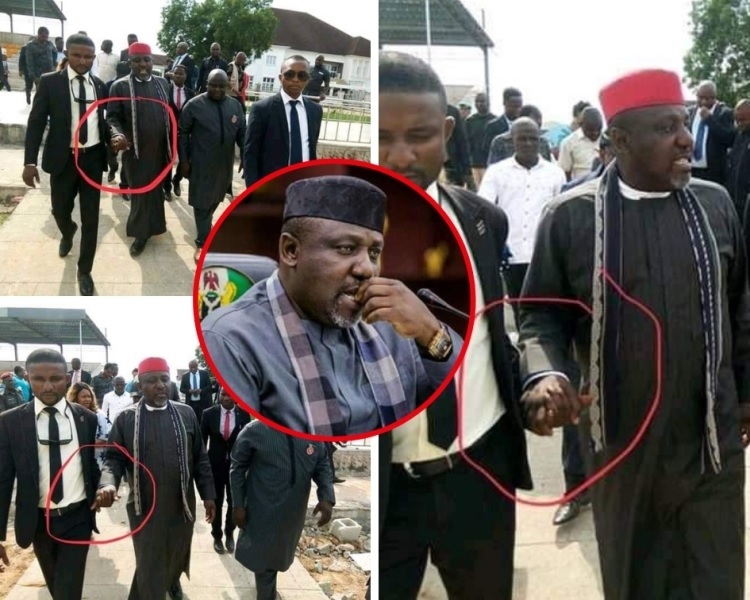 Governor Rochas Okorocha walking with the help of an Aide Confiding in this medium, a source claimed that Okorocha walks around with the help of an aide, who assists him in movements, as his right hand has lost ability to swing and stay firm. 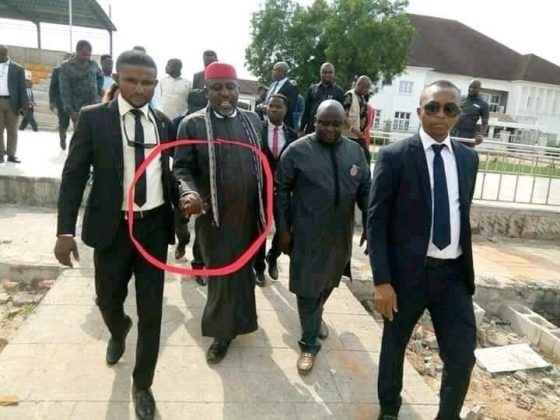 Despite advise by his personal physician to proceed on medical treatment, the source stated that the governor insisted on staying back, to see how he can use his influence to take back the ticket from Uzodinma. The Chief Press Secretary’s phone number was not available when contacted for comment on this report.